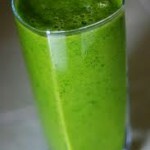 Vitamin Packed Green Kale Smoothie to kickstart your day! If you haven’t hopped on the kale train yet, now is your chance! 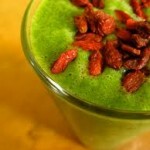 If you’re a regular smoothie drinker, or even if you want to try something new, kale is a no-brainer addition. 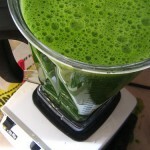 The rich, leafy flavor, while good in a salad, is also easily masked in the right smoothie. Many of us are aware of the immense health benefits that come along with this superfood: vitamins A,C, and K (almost the whole alphabet!). Not to mention, potassium, calcium, iron, and so much more. This smoothie is for kale fans and skeptics alike because if it weren’t for the vibrant green color, you wouldn’t even know it’s there! 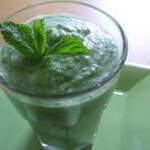 This recipe is simple, clean, and surprisingly sweet! With the help of fresh (or frozen if you’re feelin’ frosty!) strawberries and fresh mango this drink comes alive. But why stop with vitamins and sweetness? 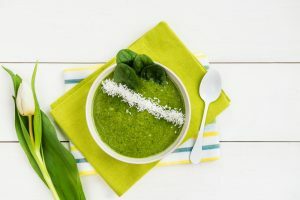 This recipe also offers the entertainment of protein-rich hemp or flax seeds that help to hold you over until your next meal. Both flax and hemp seeds (you can use one, neither, or both) contain fiber-rich nutrients and flaxseeds hold properties known to aid in reducing cholesterol. Because this recipe contains water and water-packed fruits, these seeds add the perfect combination of hydration and fiber to keep your system moving in perfect order. Also, they add a pretty cool texture profile. 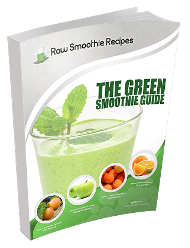 Whether you love feeding your body nutrient rich green stuff or have to trick yourself to eat your veggies, this green smoothie gets the job done! 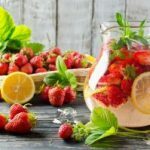 Try it out and see if you’re ready to swap out those store-bought juices, packed with added sugars and preservatives, for this sweet, clean beverage.